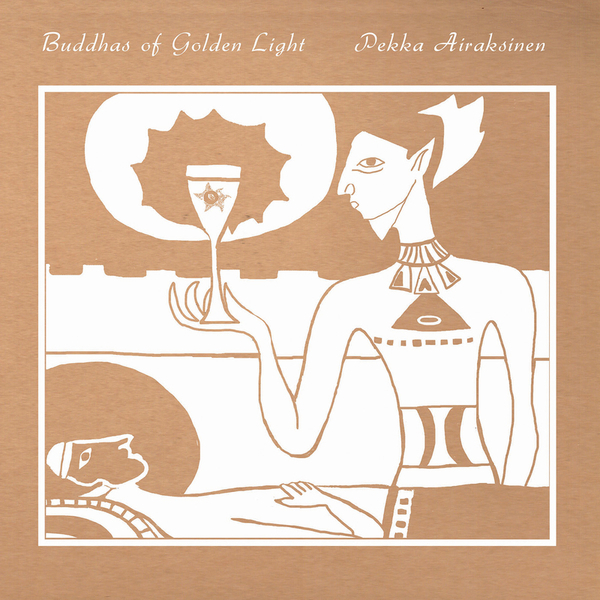 Arc Light Editions make our year with an essential reissue of Pekka Airaksinen's hieroglyphic electro-jazz opus, 'Buddhas of Golden Light'. Since his earliest, ground-breaking transgressions with NWW-listed group The Sperm dating back to 1968, Pekka Airaksinen has feverishly dilated the boundaries of improvised music and jazz at oblique angles to reveal some of its farthest-flung musical treasures in a catalogue now well over 100 releases deep. As with his astonishing and revelatory 'Other Power' collection, written during the same era but only issued by Harmönia in 2012, this album - officially first (self) released in 1984 - also makes radical use of an 808, DX7 and improvised saxophone twisted into the sort of psychedelic derangements which have never been attempted or executed with such distinctive vision before or since. It sounds as close to a 21st century Sun Ra jam as you're ever gonna hear, wigging out between the spangled blatz of 'Sukirti' and tangled basslines of 'Ratnasikhin' via the glowing miniature 'Suvarnastarasmibhasagarbha' on one side, before channelling 16 minutes of mind-bending cosmic energies in the chaotic, unquantised time signatures and discordant dynamics of 'Kandasuryapradipa'. With OG copies of this LP either impossible to find or trading for over £200 on the 2nd hand market, this remastered edition is a blessing, and should be devoured next to Vinyl-On-Demand's incoming 5LP boxset, 'Works 1968-76' for full spiritual enlightenment.